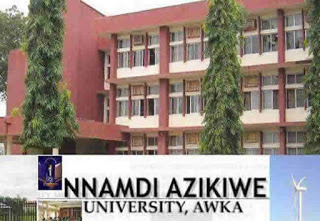 The vice chancellors of Nnamdi Azikiwe University, Awka, Anambra State, Prof. Joseph Ahaneku, on Thursday said more than 40 percent of the staff of the university spend more time watching pornographic videos and other illicit films at work than doing the work for which they are employed. The VC said he was able to monitor the development in offices on campus from his own network . He said when he got the report of the trend and discovered that some people sat in their offices only to watch illicit movies during office hours , he took a decision to curb it by censoring internet services in the university from his office . The VC said , “ This is one reason we shut down YouTube from the university’ s resource centre. “People should be made to be conscientious as well as do what they have been assigned to do and eschew indolence . “There have been a lot of abuses on facilities that , ordinarily, should aid staff in their jobs and as a result plans s are underway to remove the televisions in central offices . He said when he visited such offices , rather than find staff watching news programmes to obtain good information , they were engrossed watching illicit videos , thereby implying that some of them did not need the facilities . He said the Anti- Corruption and Transparency Unit of the university was working to curb.